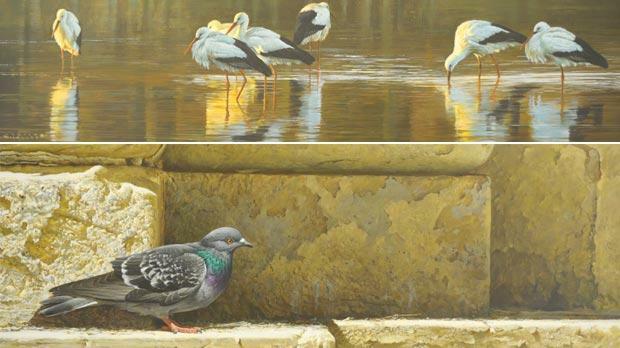 An exhibition of 44 beautifully-detailed paintings in the centre of Valletta opens a window of fresh air, depicting in-depth scenes from Maltese nature and countryside. Portrait of Nature is the creation of 43-year-old Andrew Micallef, who gets his main inspiration from long walks in the countryside. 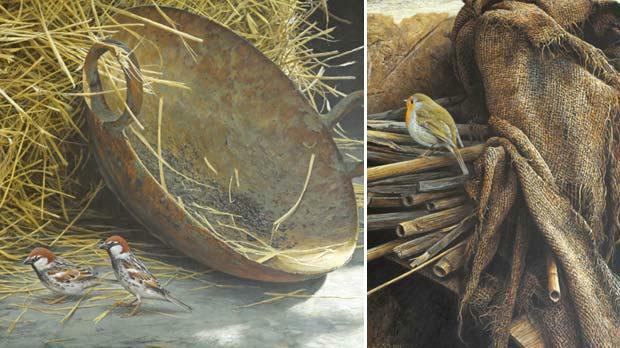 “I love going to the countryside – I take photos and do many sketches which serve as inspiration for paintings which I paint even months later,” Mr Micallef, of Għargħur said. Birds are given a lot of importance in his works and reading about them is another of Mr Micallef’s hobbies. Comparing his paintings to children, Mr Micallef said there were no favourites among them in the exhibition but one – entitled Acquaintances –held a special place in his heart. 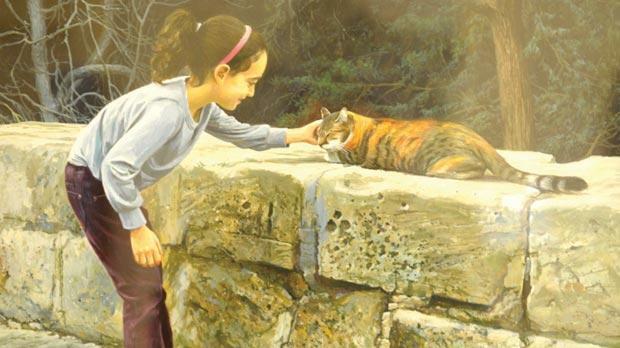 The painting depicts Mr Micallef’s seven-year-old daughter Louisa stroking a stray but friendly cat at Buskett Gardens in Rabat – a moment he captured in a photo. He has been working on the exhibition for the past three years, starting on one painting and then working on another to give himself a break from the highly-detailed paint work. All the works are acrylics on canvas or on board. 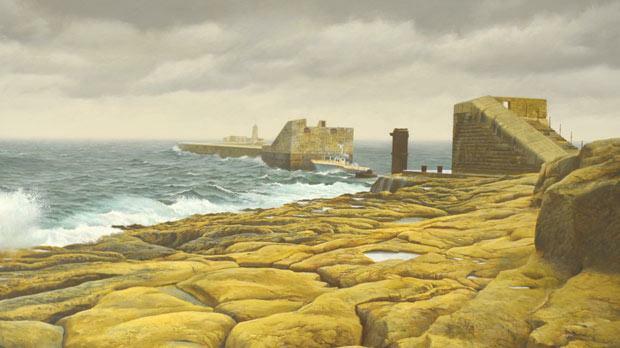 “All these paintings are true to the beauty of the Maltese countryside – I didn’t invent anything but simply painted what I saw around me,” he said. The exhibition, the seventh by Mr Micallef, is showing at Auberge d’ Italie in Valletta until March 9.